Rawhide is the name of the 6 X 24 textured porcelain floor tile in this bathroom. Thank you to all those who visited the projects on the I Have A Dream house tour last weekend. Many of you had questions about the materials and you may click here to see our Houzz page for additional information. 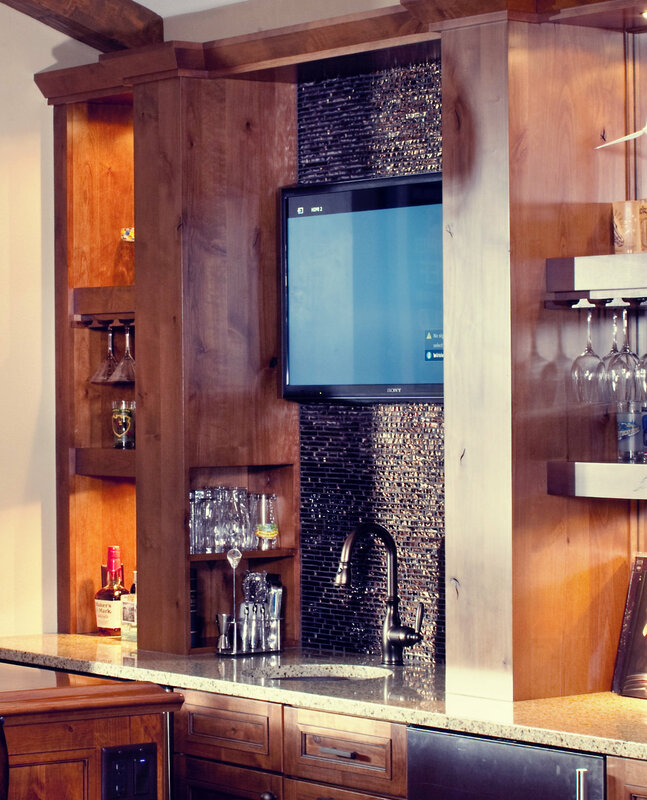 The back splash of the wet bar is Vista Tiozzo linear glass mosaic. 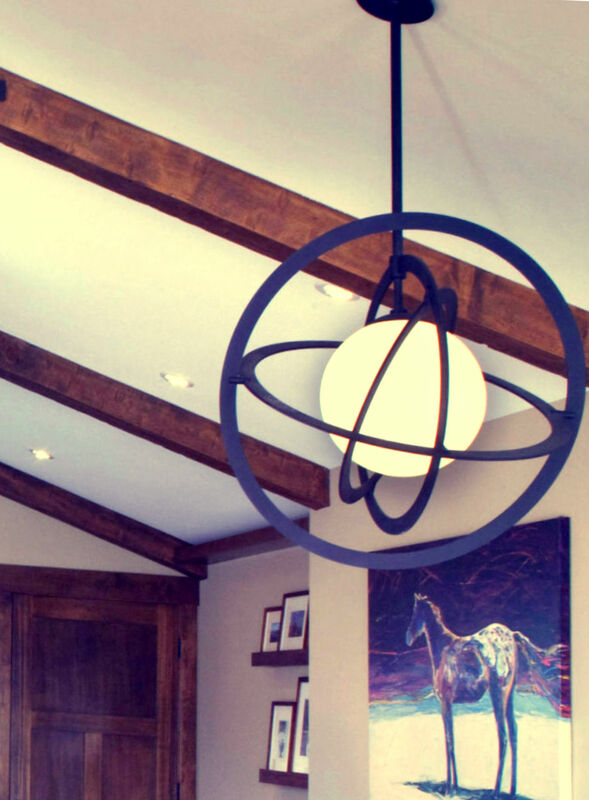 The pendant fixture above the game table is Cosmos by Troy Lighting. See more on this project in previous posts, current projects, and Houzz.